Don't be swayed by a generic pouch or case for your HTC Vivid, as although there aren't a slew of options available right now, there are certainly some really excellent ones worth considering. The advantage of having a case that is specifically designed for the Vivid is that you'll get the best possible protection that hugs your phone safely, at the same time as retaining the phone's good looks. You won't find any ill-fitting cases in this selection! For a bit of a subtle style statement, you can't go wrong with this high gloss number from Amzer, featuring a gray Argyle pattern. The design is appealing without being too showy, and is definitely suitable for a male or a female. As for the protection, well a TPU case is becoming almost a standard choice among smartphone users and for good reason. You get a nice feel in the hand, although it's glossy it retains a nice grip, and the protection you get from having this wrapped around your phone is better than average. The TPU material is flexible but tough and durable, so will last you as long as you wish to keep your phone. The big advantage with a soft case is that as well as being easy as pie to install, you get superb shock absorbing qualities too — your phone might bounce a bit, but ultimately should come out of any accident unscathed. There's a slight issue with fingerprints on this glossy model, but actually not as bad as you would think — certainly not a reason to stay away from this inexpensive purchase. The beauty of the CandyShell design is that you really get the best of both worlds in terms of protection for your HTC Vivid. The inner part of the case has a rubber feel to hold your phone firmly in place as well as offering great shock absorption, and the hard outer shell offers resistance to whatever the world has to throw at your phone. I also really like the Speck because it has a nice look to it as well as being really, really thin — an unobtrusive case is a must in my opinion. What’s more your buttons and ports are protected by in-built covers so although you can still access them, they themselves are also protected. It’s an easy case to get in and out of your pocket. The only slight drawback here is the same with most shell cases in that they can sometimes be a bit slippy to hold. It’s not an inexpensive case choice, but with this model you are most definitely getting what you pay for. 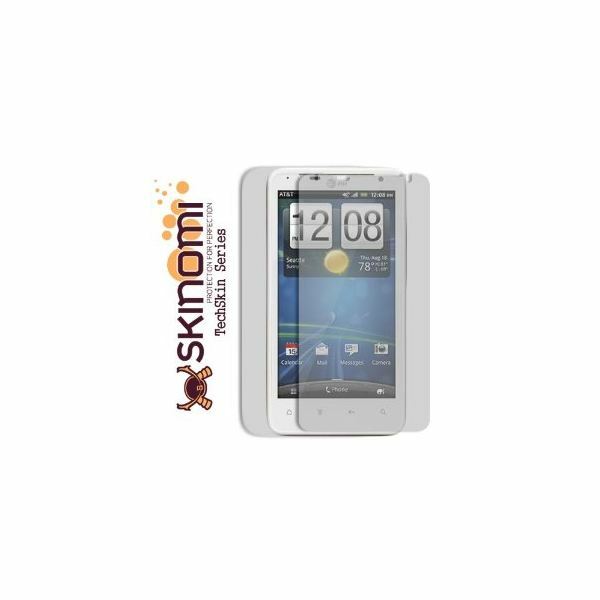 The Skinomi Full Body Shield may not be a conventional case, but it has some excellent credentials to recommend it. First and foremost it’s great at protecting your Vivid all around, you won’t find a better option at protecting your phone from scrapes and scratches, and nothing is obstructing the design of the phone — the beauty shines through. The film used is virtually indestructible, being made from the same material that is used to protect military aircraft and space shuttles. 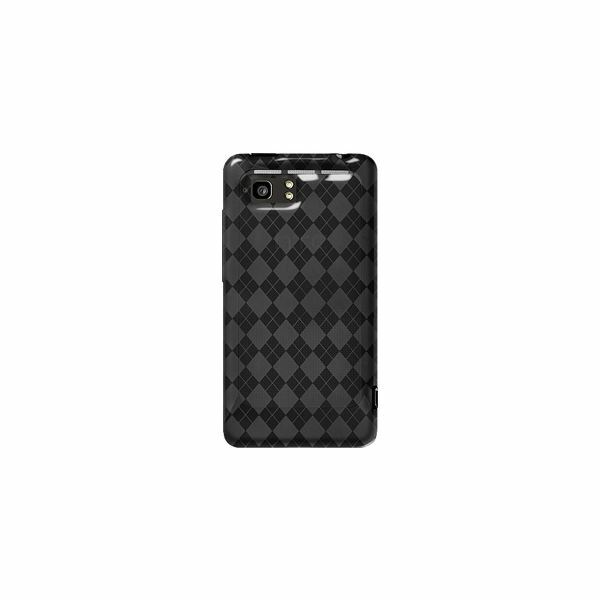 Each one is custom cut to fit the HTC Vivid perfectly and is really easy to apply. You even get a lifetime guarantee so if you aren’t happy you can get a full-refund, but chances are high that once it’s on your phone you won’t want it off. If you do want to remove the film at any point this is a simple operation and won’t leave behind any sticky residue, and it’s worth noting that this body shield is non-yellowing too. Of course the negative here is that it’s not rough and tough at protecting your Vivid from drops and bumps — for a better option on impact accidents you really need to look for a case, but it’s worth considering if you aren’t that accident-prone. Otterbox usually provide a nice range of cases for the most popular phones out there, and they all offer great protection. Here, I’ve chosen the Impact case as it’s the least bulky of any of the Otterbox range, but they are bound to have a protective option to suit you. If you need something tougher then opt for the Defender case, or for every day use and the odd fall, the Commuter case is hard to beat — it depends how clumsy you are at the end of the day. The Impact range of cases is quite new, consisting of just one layer of protection, but for my money this offers the best solution in terms of getting a balance between looks, bulk and protective qualities. It’s made of heavy-duty silicone with an inner core that makes sure the force from any knocks, bumps and falls is dissipated away from your phone. Silicone offers a nice grippy feel in the hand, so there’s less chance of you dropping the phone anyway, but should the worst happen this case should ensure your phone remains intact. 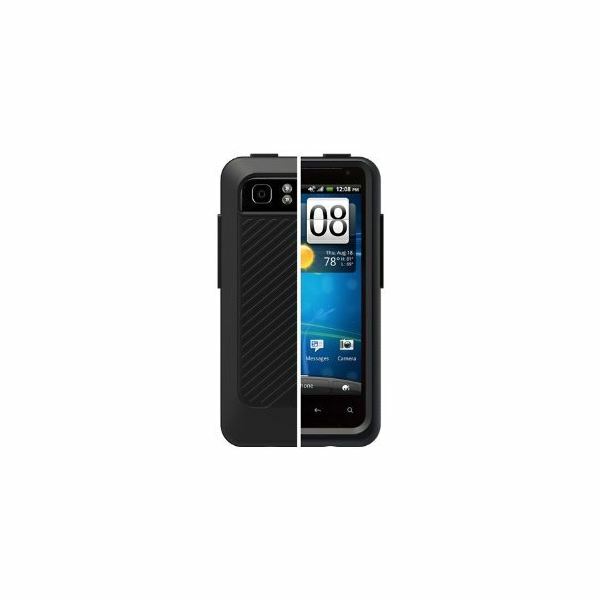 If this option doesn’t suit then definitely check out the other models in the Otterbox family. When a phone is first released it takes a while to get a huge range of cases to choose from, but as of writing, these really are the best choices for the HTC Vivid. They are by no means the only choices though — I've certainly weeded out a few grotty options. If none of these cases appeal and you really can't wait for more designs to be released there are certainly cases out there on places like eBay. My advice here would be to not only check seller feedback, but to opt for a cheap option; then you can replace it without feeling guilty when you have a wider selection to make your choice from. I've also heard mention that Galaxy S2 cases also fit the HTC Vivid which should open up some more offerings, but I haven't tried it personally. Let us know if there's a great case out there that we've missed.